For this outfit, i went for a pastel blue theme. As i've said previously pastel colours are a favourite of mine, and they're seriously on trend right now. I haven't worn this skirt for a long time, a couple years time to be precise actually. 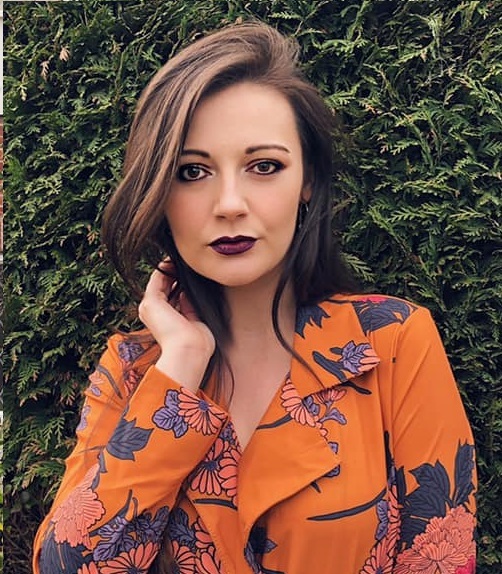 I think the fact that's it's got the zip down the middle at the front was quite daring, especially on a night out, you know what drunken individuals can be like, and i didn't want my zip being undone! For the day time though i think this skirt is perfect, can't believe it was right and the bottom of my wardrobe. 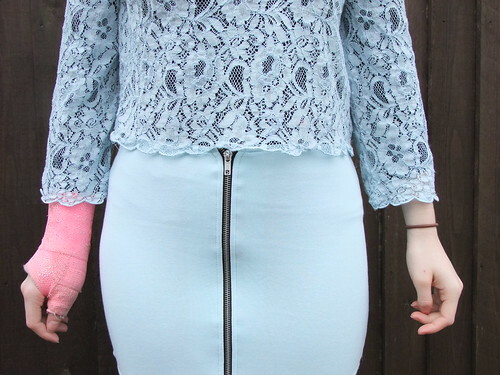 As i was going for a pastel blue theme i thought this lace top would go well with the skirt. Considering it's see through i had to wear a top underneath and i opted for a black top which i think looks quite nice under the lace top. To add a bit of sparkle i added this chain necklace, it's not too loud which is just the look i was after. Your outfit is beautiful! I love your H&M pastel blue floral lace top and zip front skirt combined with your dark hosiery and under-blouse. 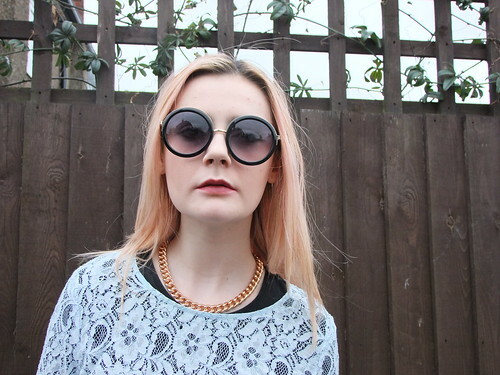 Your Lola & Grace necklace and Topshop sunnies look nice. Your lipstick and blonde hair look pretty as usual. I also love pastels, Courtney! The skirt is pretty but the top is gorgeous. Very pretty. I love the colourful lace bits in this outfit.